On the latest episode of 411 UnCut, Q Money talks to Nella D about making it out of Cleveland, who he looks up to in the music scene, his relationship with Meek Mill and much more! Check out the interview and the video to his latest single "Work" below. Jose Reece from Forest Park/ Lincoln Heights is the winner for the Artist Whats The 411 contest! This song is the perfect song for the winter season. Vibe out to this track below and keep up with Jose Reece on IG @JoseReeceWorld. B.A.G. Ent presents LZ new single "Tell Em". Video shot by So Visuals. Follow on IG @LawrenceZanders1 @DaBag513. Bally of Cool Amerika recently stopped by The Progress Report to speak about the status of the group and plans for a solo career. 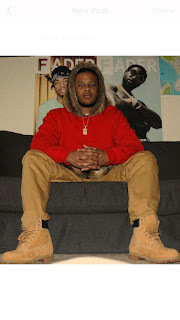 After the success of their Cassius Jay produced hit, “Make Sum Shake” in 2015, Cool Amerika released several mixtapes and visuals but the music eventually got bigger than the name. Bally also opens up about fatherhood, the struggles of being an independent artist, work ethic, favorite fashions, & major co-signs from the likes of Young Dolph, Kevin Gates, Rocko & other heavy weights in the game. TurfMadeSkully is a Hip-Hop artist born and raised in Manatee County, Bradenton, Florida. Since the age of 14, he possessed the ability to create melodies which attracted public attention. TurfMadeSkully identified that each audience had been through some of the same experience of his own. This is what motivated him to partake in talent shows to influence those around him. TurfMadeSkully’s stage name came from a young age of wearing skull caps and also being stamped in the streets. His freestyle abilities and hunger for success have impacted his desire to give the rap game life again. His influences include 2Pac and T.I. as their music contains substance and holistic energy. Having taken the stage with major artist such as YFN Lucci & Kodak Black, TurfMadeSkully has created a name for himself and has attracted a following. TurfMadeSkully dropped his first project, ‘Perfect Timing’ last year and just released a new EP, “Patiently Waiting”, hosted by DJ LooseKid. Stream @big36oz ‘Happy Bricksgiving’ Mixtape FT FBG Casino, DC Young Fly, Loso Loaded & More! Big36oz released his debut solo project, TRU Details earlier this year which has over 50k streams and downloads. His joint track, “Die For It” featuring 21 Savage has over 500k plays online. Big36oz also appeared on Loso Loaded’s recent project, Creating Memories and Lil Baby & Marlo’s, 2 The Hard Way. Now Big36oz is back with the release of his new project, ‘Happy Bricksgiving’ hosted by DJ ShowOut Time & DJ Omezy. St. Louis Artist Stape Releases Visual For "Run It Up"
Stape is a rising artist from St. Louis, Missouri. His name comes from his legal last name, Stape which his basketball coaches used to refer to him as. 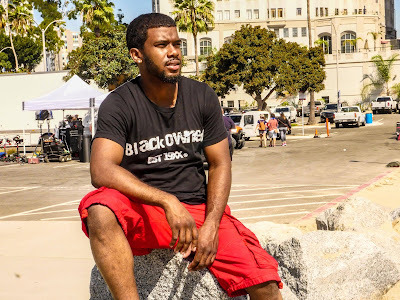 He has been recognized as a trendsetter since his days in High School and is currently an active model for a popular St. Louis based clothing brand called War Ready. Stape took a liking to music after he accidentally found himself in the studio one day and later enjoyed the positive feedback regarding the music he created which was inspired by his life. 2 years later, Stape has 4 mixtapes online, Only The Strong Survive, New Wape City, Fr27B, & most recently, Innovation, along with features on various DJ compilation tapes and a collaborative tape titled Ten Marines with Yung Dark. Stape’s latest project, Innovation features YFN Lucci and production from ChopSqaud DJ and in house producers, TeRex Productions, OG Tez Banga, & Mook Beats. Innovation showcases Stape’s versatility and has caught the attention of mainstream artist’s Lil Durk, Skippa Da Flippa, G Herbo & Tee Grizzley. The official music video for Stape’s breakout single, “Last Day” has over 100k views on Youtube, now he’s back with a music video for “Run It Up. 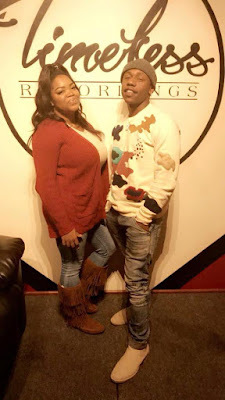 Lalaa Shepard & The Progress Report recently sat down with 1/2 Rich Kids, Skooly for an exclusive interview after the release of his debut album, ‘Baccward Feelings'. During the interview, Skooly speaks on being in the music business since the age of 14, creating a new sound in Hip Hop which he feels he isn’t credited for, and opens up about his frustrations towards his career. Skooly also speaks about 2 Chainz being his mentor and big brother and bouncing back mentally after the deaths of Bankroll Fresh and his blood brother. The interview closes with a touching message from Skooly to his fans. Tune into #TheProgressReport every Wednesday night 9 PM EST. via The Highly Unique Radio App or watch us live via Facebook/ The Progress Report 101. As previously reported, rapper Bambino Gold and his cousin, Skooly Wit Da Tooly were found dead after being missing for over a week in Alabama. speaks on his strained relationship with Lil Phat, balancing entrepreneurship and being a father, and sheds light on his favorite projects. Bambino Gold also speaks on being a fan of YFN Lucci, Young Dolph, Future, Doe B, Rick Ross, Jeezy, Fabolous, Troy Ave and mentions having an unreleased song with the late Bankroll Fresh. 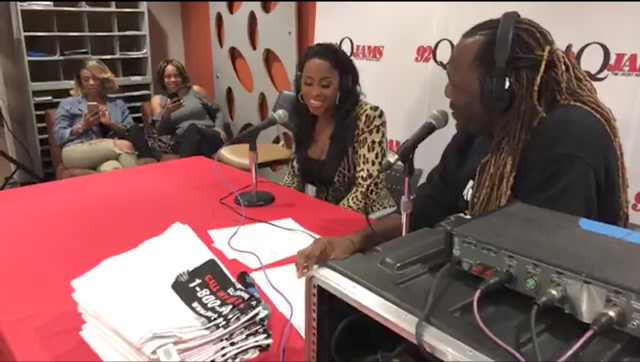 Former reality television star, Lovely MiMi recently stopped by The Progress Report to open up about her personal life, new business endeavors and appreciation for the black community. With over 11 years as a licensed nail tech, MiMi shares tips for entrepreneurship, maintaining a healthy marriage, a most recently, becoming a musician. She also dishes on how her stint appearance on Love & Hip Hop Atlanta season 6 did not showcase her in a favorable light. 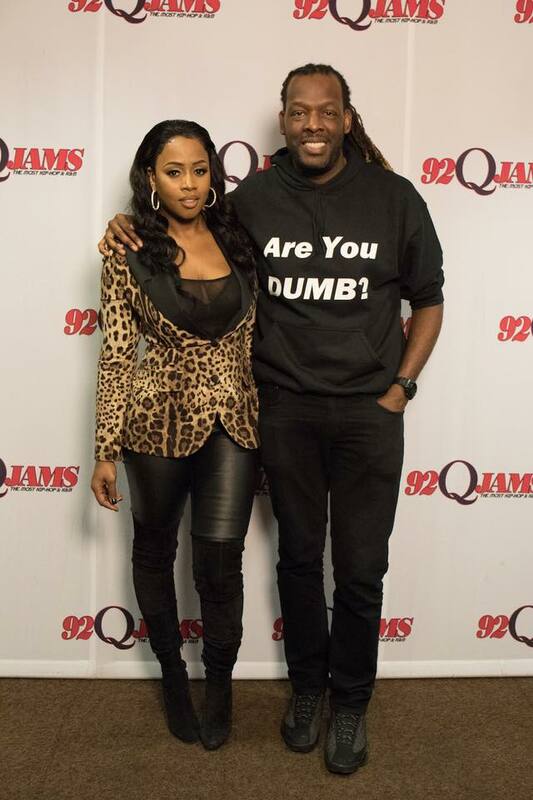 Remy Ma sat down with Kelson ( The Urban Informer) in Baltimore at 92Q to discuss her new song with Lil Kim, unreleased music with Chris Brown, loving the skin that you're in and much more! Check out the interview below! Fresh Fly Boy Entertainment was birthed in 2016 with the principles of quality over quantity and strong work ethics. Each talent in FFB is handpicked and consists of Young I, a lyrically conscious rapper often referred to as FFB’s best kept secret, Wolf Gang (Adolph, Mr. A.V., & Dub Freeze), a 3 member rap and production group with intense energy and fun, feel good music, author of urban novel, Indicted, Keisha Monique, and model, Namoi Love. All personalities in Fresh Fly Boy Entertainment are authentic and true to their roots of Columbia, South Carolina and put on a show from start to finish during any performance. The label is currently working on their debut collective mixtape, Divine The Barber presents FFB, Volume 1 which is set for release soon with features from Cap 1 and Orlando Brown. Blood brothers & artists, 2 Crucial recently stopped by The Progress Report to speak on turning 18 & 20 and making the transition from a child rappers to gaining respect as young adults. During the interview, the duo speaks on likes & dislikes within the music industry and shares tips for motivation and staying focused. The group is mentored by super Future and has industry ties with other major artists and producers within the music industry. Stay tuned for new music with Lil Yachty, Migos, Rae Sremmurd & more! Tune into #TheProgressReport every Wednesday night 9 PM EST. via The Highly Unique Radio App. Website: Www.TheProgressReportMediaGroup.com Please like & subscribe to our Youtube channel & leave a comment, thanks! 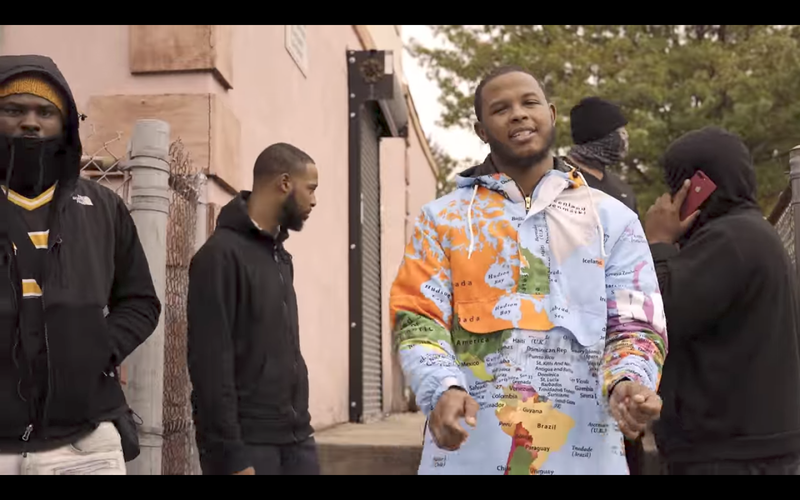 Check out their new freestyle visual to Tay K’s, “The Race”. New Cincinnati artist K Heights has released the video to his new single 'Of Course' produced by Bassmentbangerz. K Heights is from Kennedy Heights and has always had a passion for music. 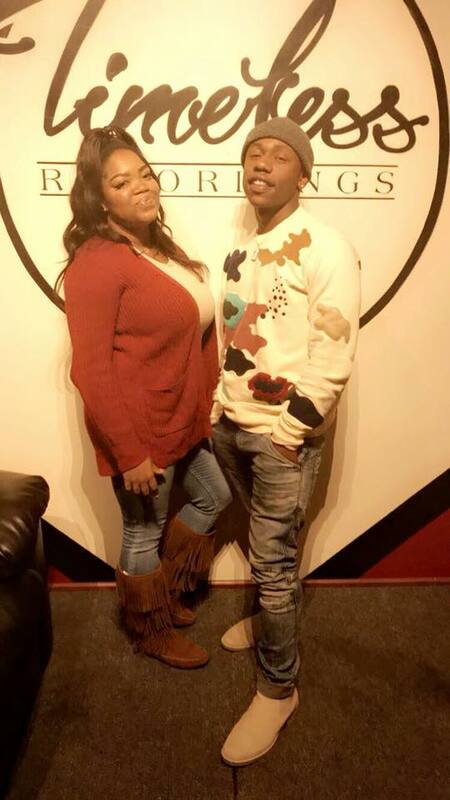 He teamed up with Doe Boy a artist signed to Future's label and Cincinnati artist Cook LaFlare for this new single. Check it out below and keep up with K Heights on IG @Followa_KneeGrow & Twitter @FollowaKneeGrow. Big36oz released his debut solo project, TRU Details earlier this year which has over 50k streams and downloads. His joint track, “Die For It” featuring 21 Savage has over 500k plays online. Big36oz also appeared on Loso Loaded’s recent project, Creating Memories and Lil Baby & Marlo’s, 2 The Hard Way. Big36oz will be releasing a project Thanksgiving Day titled, 'Happy Bricksgiving' hosted by DJ ShowOut Time.